My bucket list is never ending and I am always looking to try new things and go out of my comfort zone. 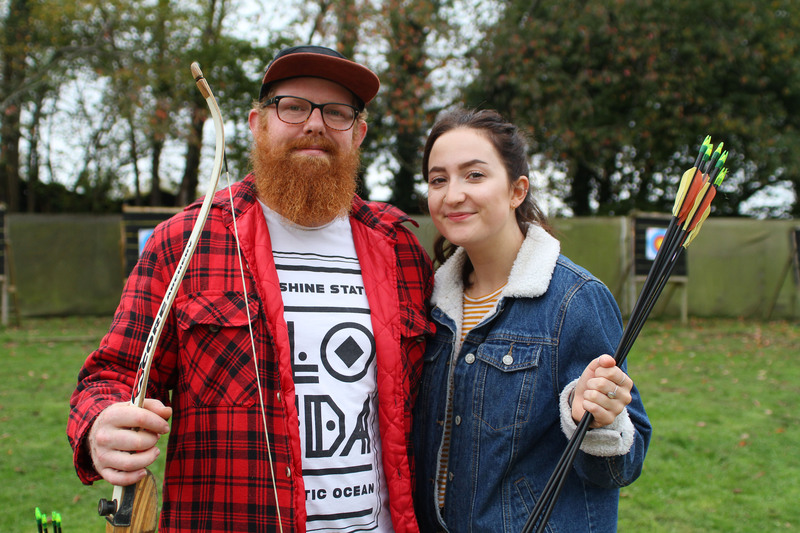 At the beginning of this month, Jamie and I were kindly invited to Southern Pursuits, an outdoor activity attraction located at Tulleys Farm in Crawley. On arrival, we were greeted by some friendly members of the team including Jessica and Victoria who were there to answer any questions, take photos and make sure we enjoyed our afternoon. 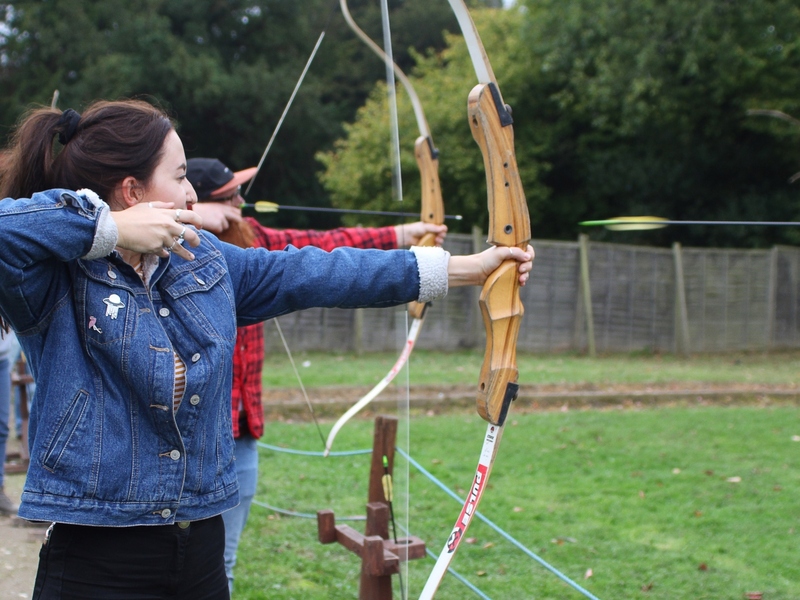 The first activity we chose was Archery. 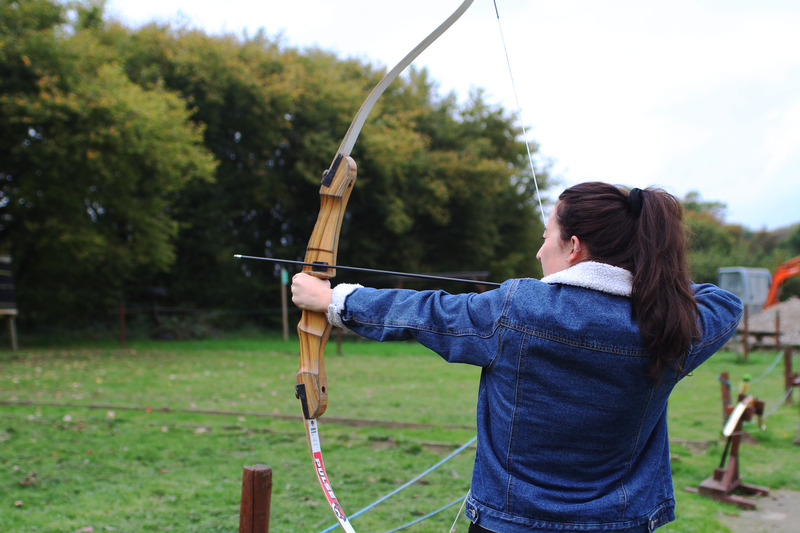 This was predominantly my choice as Jamie used to instruct this at his previous job and to be honest I really wanted to channel my inner Katniss Everdeen and get stuck in Hunger Games style! Before starting the activity we were guided through the safety aspects of Archery which was then followed by techniques on holding the bow and then how to aim for our target. Now I discovered that I won’t becoming a professional Archer anytime soon and it was a struggle for me to even hit the target but I did get close to the bullseye a few times. Unsurprisingly, Jamie beat me and definitely scored more points! 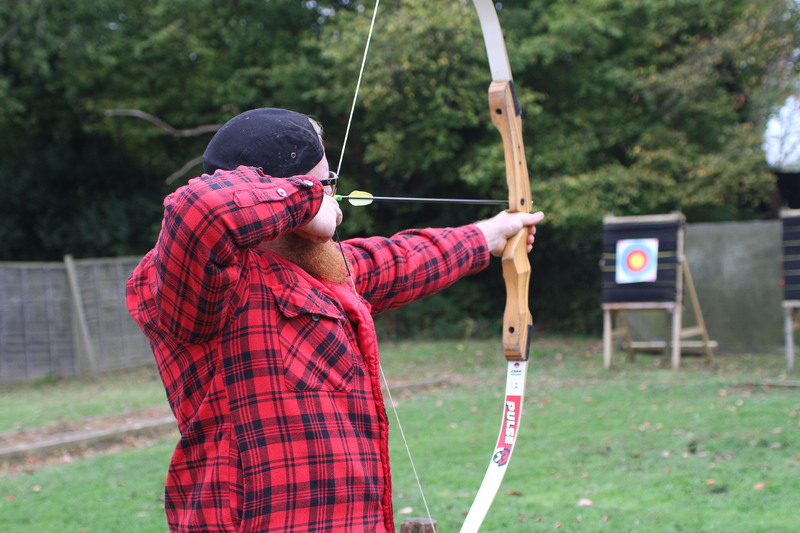 I really enjoyed Archery, however, I did find it difficult holding the bow as it was quite heavy and I am small framed. Although I did get used to holding it and after lots of practice I did notice an improvement in my techniques and results. If you are with other friends or family members and you are feeling competitive then you can turn it into a mini competition and the instructors will keep score for you. 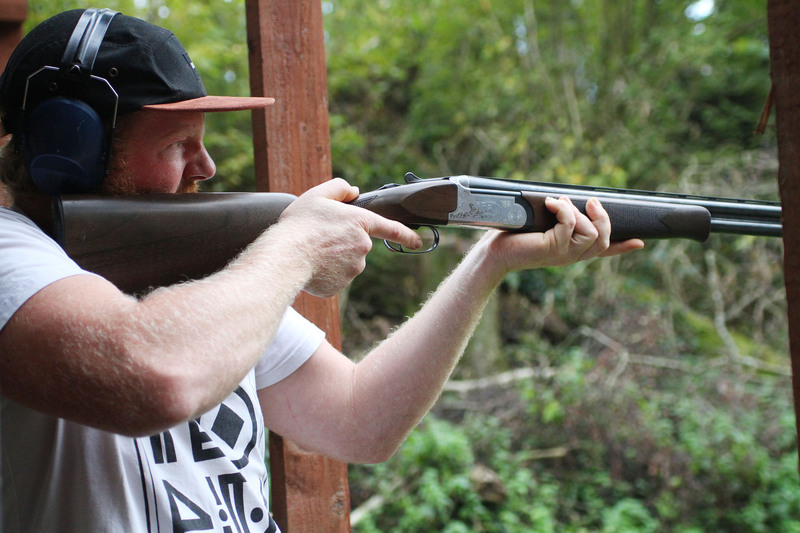 Our second activity of the day was clay pigeon shooting. Although I was keen to have a go, this was Jamie’s chosen activity and I was a bit apprehensive to partake as it was a totally new experience for me. I had never been shooting before apart from air rifle shooting which is very different in comparison to holding a shotgun. The instructors went through the safety aspects of this activity telling us both how to hold the gun, how to turn the safety on and off and also gave us ear defenders to wear as it is very loud. For obvious safety reasons the instructors load the gun for you and get all your cartridges ready so you definitely do not have to worry about doing any of that. 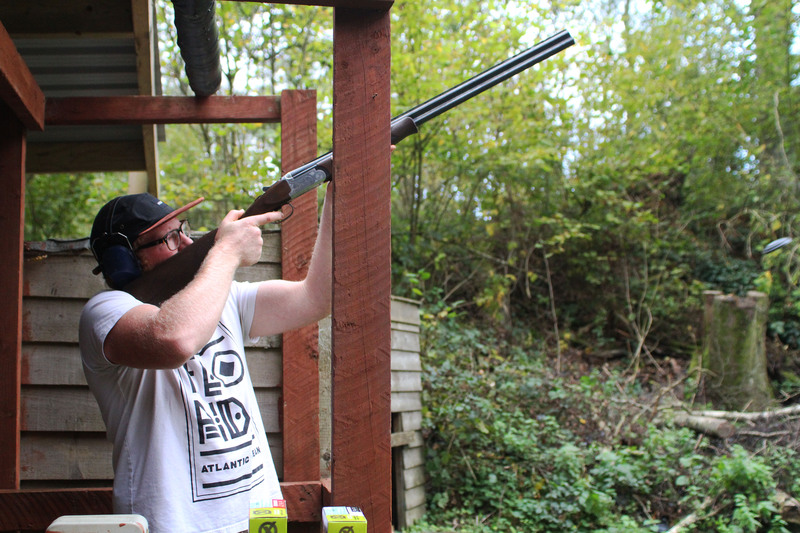 Jamie was first up and because he had done it a few times before he was familiar with it so he did a rather good job in hitting those clays! When it was my turn I did start to feel nervous, the instructors did their best to reassure me, calm me down and they helped me hold the correct stance. However, after only two shots I decided to duck out and I let Jamie carry on instead. I just found it uncomfortable, the gun was heavy I found myself having to think and concentrate a lot about where I was aiming, how I was standing and positioning myself and all of those things just overwhelmed me. I definitely did overthink it and I knew after those two shots I wasn’t going to enjoy carrying on. The staff were really understanding and they were totally cool about it as they just wanted to ensure we both had a good time. It was nice to Jamie enjoying himself and I think if you aren’t a worrier like me then you will enjoy it. Some activities aren’t for everyone but I’m glad that I did try it as I think it’s important to explore new activities and sports. 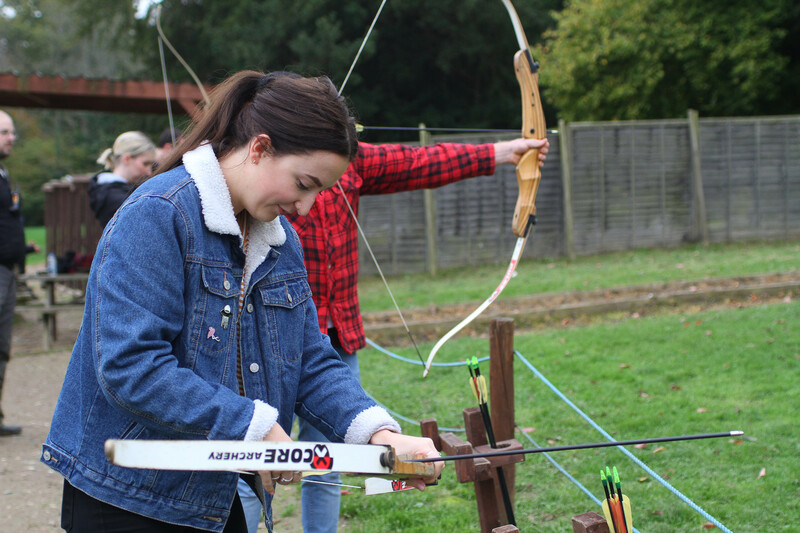 We both had a fantastic day at Southern Pursuits, there is a variety of different activities including, quad biking, axe throwing, off road karting and air rifle shooting. They are open all year round and you can partake in activities come rain or shine. They have coporate packages, team building events and they can organise stag and hen parties. If you are looking to have a laugh and organise something different then I highly recommend getting in touch with the team to create a fun-filled package! Thank you to the fabulous instructors especially Jessica for arranging this all and also Victoria for following us around during the afternoon and taking some great photos! Look at you channeling Katniss!